All orders are shipped within 24 hours of payment during normal business operations (MON thru FRI, 9am to 6pm; excl. holidays). All order placed before 12:00PM PST (Pacific Standard Time), on a regular business day, will have their item typically shipped the same business day. We utilize various carriers for various destinations. Below are some of the carriers we may utlize for your shipment. 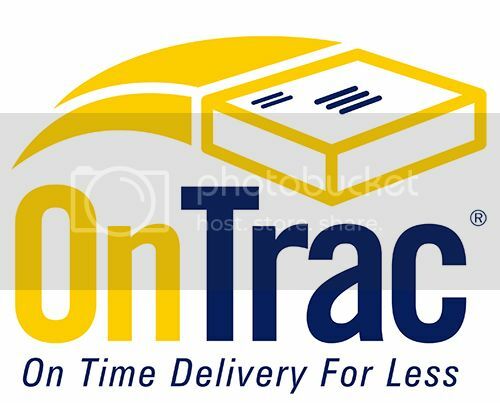 If a tracking number is provided by the shipping carrier, we will update your order with the relevant tracking information. Please note that some orders using USPS 1st Class mail will not have tracking numbers. All orders going within the Continental United States (48 states excluding Alaska and Hawaii) qualify for Free Shipping! Deliveries to Alaska and Hawaii will incur shipping charges based upon weight and dimensions. As it requires Air Freight, the carrier utilized will likely be through USPS Priority.